Only with the coolest fashions, friends and fighting skills can Neku restore hope to the city’s population and prevent being stricken from existence altogether! London (5th December 2007) – Square Enix Ltd., the publisher of Square Enix® interactive entertainment products in Europe and other PAL territories, today announces that THE WORLD ENDS WITH YOU™, an exciting new title from the makers of KINGDOM HEARTS, will be released exclusively on the Nintendo DS™ handheld system across all PAL territories in spring 2008. Previously known as Subarashiki Kono Sekai™ on its release in Japan. 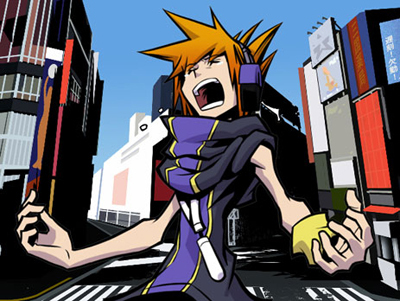 THE WORLD ENDS WITH YOU is an innovative new title from Square Enix that fully utilizes the capabilities of the Nintendo DS, and takes major influence from Japan’s modern day culture including its people, music, clothes, food and design. Set in Tokyo’s trendiest district, the story begins with the lead character Neku waking up to find a phone message stating he has only 7 days before he will cease to exist. Only with the coolest fashions, friends and fighting skills can Neku restore hope to the city’s population and prevent being stricken from existence altogether! – Highly innovative and intuitive combat system that makes full use of the Nintendo DS Touch Screen, Dual Screens and Microphone like no other game before it! – Use fantastic psychic powers to read the thoughts of the population, put words into people’s minds, and move objects to help you progress in your adventure! – Action-packed minigame fun that can be enjoyed by up to four players via DS Wireless Play! the game is WICKED AWSOME!! !